The Detroit Zoo (located in Royal Oak) is 90 miles south of the Shiawassee National Wildlife Refuge in Saginaw County. 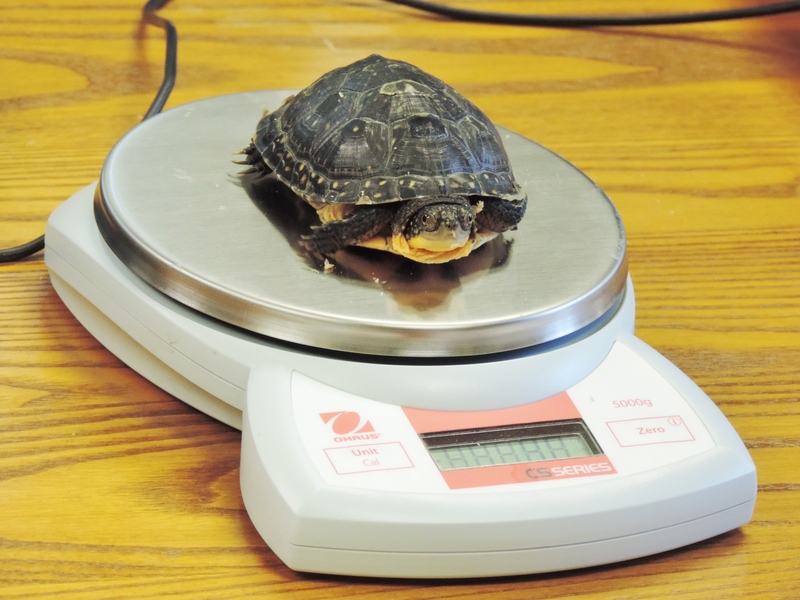 But for 27 young Blanding’s turtles that slid from warm human hands into the cool duckweed-coated backwaters of the Shiawassee at the end of August, that journey to freedom took two years. These turtles were saved from near certain consumption by raccoons when they were still yummy munchies in their eggs. Multiple agencies worked on the project, a reminder to all who appreciate the wilder side of nature that all things are connected. 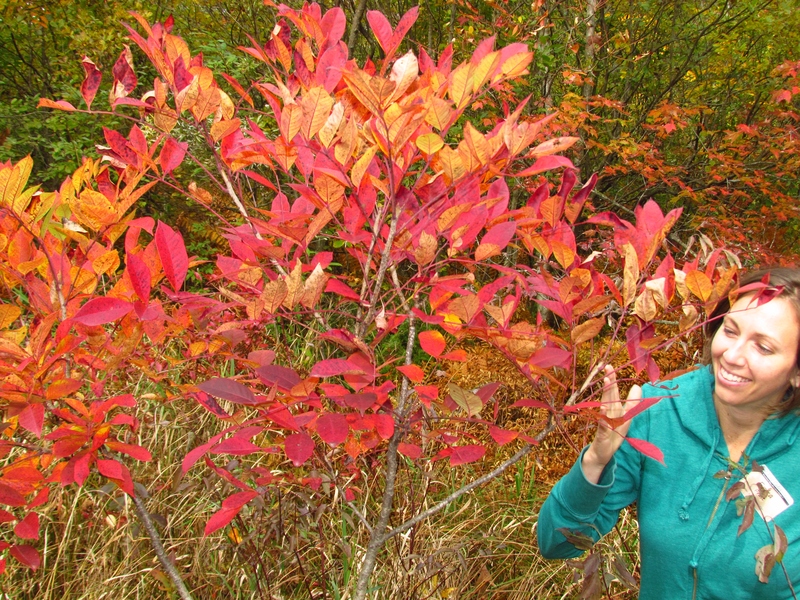 Erika Cole Pratt of Ann Arbor Parks admires a beautiful poison sumac tree in a Rose Township wetland. Swamp walkers and wetland trail hikers need to keep a sharp lookout for one of the most beautiful plants of our wetlands: Toxicodendron vernix, better known as poison sumac. This scraggly, shrub-like small tree thrives in the swamps, bogs, marshes and other wetlands of Oakland County. It is one of the first plants to dress in spectacular autumn colors that can best be described as flaming orange with a dark red hue. Poison sumac, as alluring and beautiful as it may be, presents a far more prevalent hazard to hikers than an encounter with Michigan’s only venomous snake, the massasauga rattlesnake. 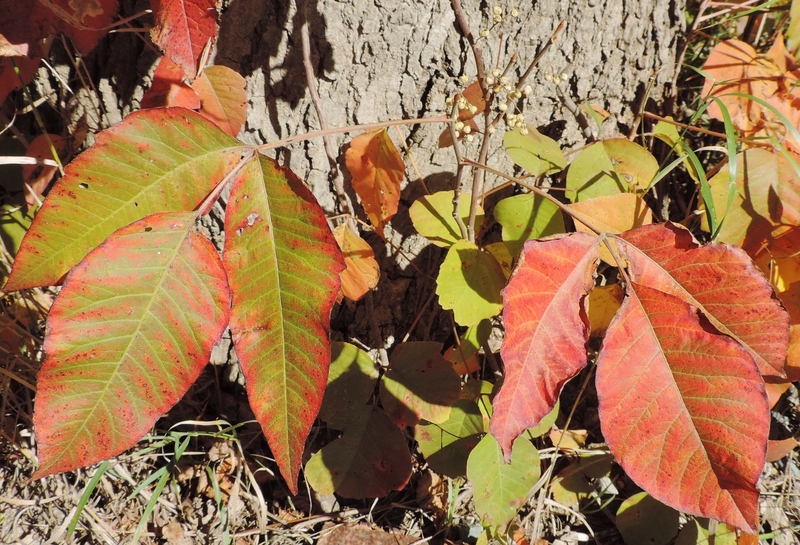 In these early days of September, poison sumac stands out drastically among the trailside – let the color and leaf pattern be a warning of its clear and present danger. 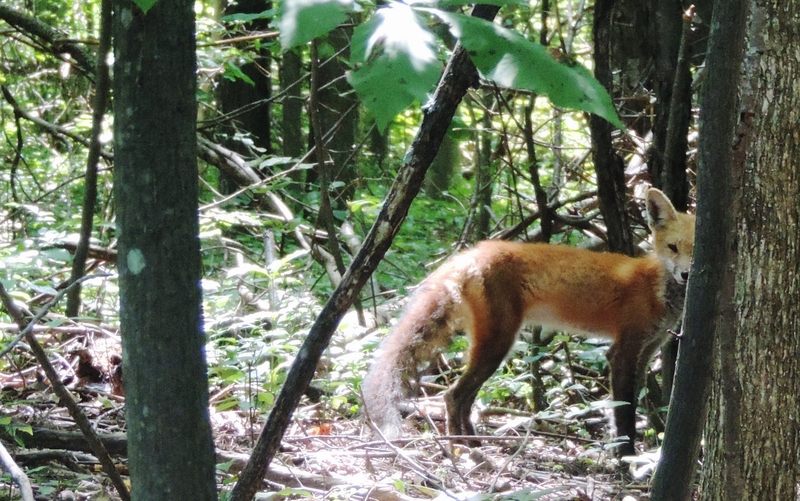 A red fox watches closely after he detects a human ( Jonathan) watching him in the Brandon Township woods they both share. The red fox (Vulpes vulpes fluva) is found in every county in Michigan, and is very much at home on the wilder (and not so wild) sides of Oakland County. These rusty-red colored predators with bushy white-tipped tails and black legs are not restricted to large woodlands, parklands and fields. Sometimes, red foxes will den near suburban homes or even in industrial areas that offer good hunting and a hiding habitat. Fox commonly hunt near golf courses, where rabbits are easy to find and have no place to hide. It’s all a matter of adapting to opportunity and adjusting to the ways of humans that dominate their landscape. Duckweeds: Not Just for Ducks! 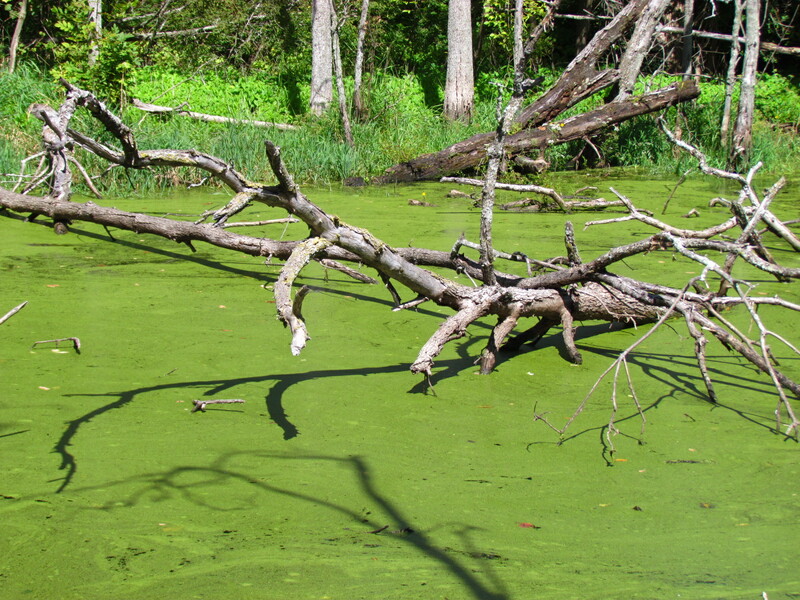 Carpets of duckweed cover many small ponds and wooded wetlands. August is the season of the duckweed, a wetland plant that thrives on the Wilder Side of Oakland County in sheltered bays, roadside ditches, wetlands and ponds. This small plant (the tiniest of our flowering plants) floats on the surface of still waters in great green mats, sometimes stretching from one side of the water source to the other. Botanists boast that the surface area covered by duckweed can double in two days – which can be good news for waterfowl. It happens every summer: sensational news reports vilify coyotes in Oakland County. The media transforms Canis latrans into something as foreign as an alien spacecraft landing. That style of reporting (in print and on television) creates bias by being short on facts and using such words as predatory and lurking. Coyotes are predatory but the word predatory when placed before the word coyote creates fear. 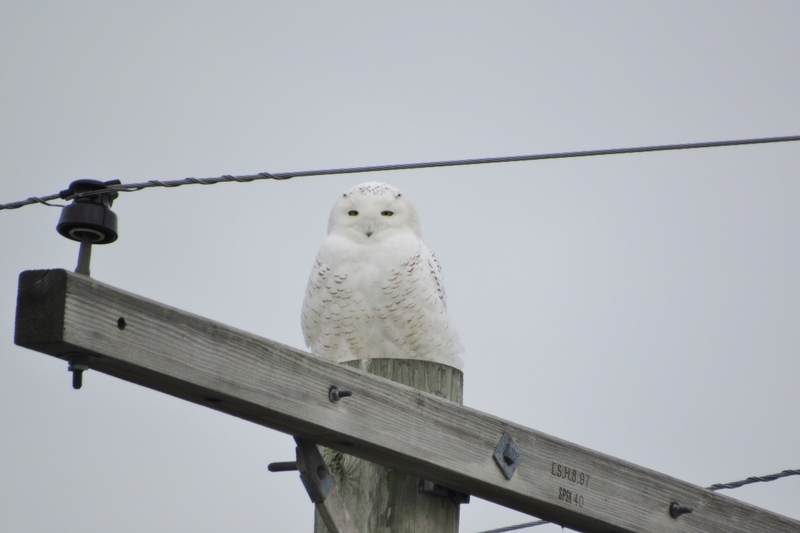 Frogs, salamanders, hawks, robins and the beautiful eastern bluebird are also predatory. 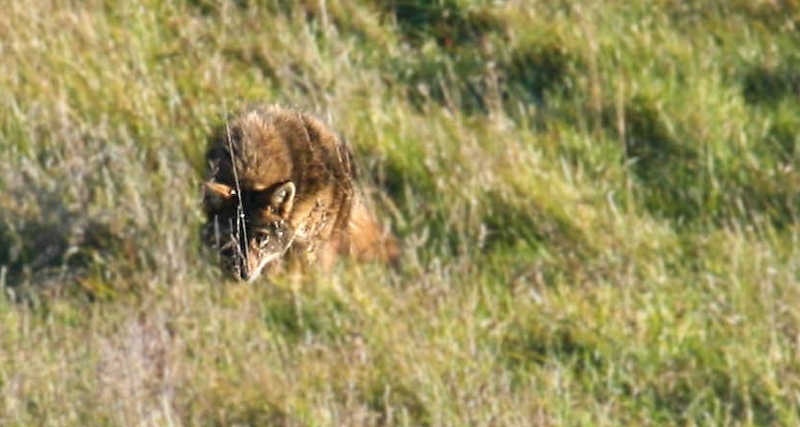 A phrase such as “The coyote was seen lurking in the woods” is often included in news reports. Lurking equates with sinister intent; you will never read, “A predatory bluebird was lurking at the edge of the woods,” in the newspaper.